To celebrate the start of English Wine Week 2018 we are holding a Spring Wine Sale! Free tastings, 15% discounts off our sparkling wines (minimum 3 bottle purchase) and the chance to chat to the winemaking team. Join us between 10am and 2pm. Perfect gift for Mothers day Chocolate and Fizz package with 15% off. A busy January tour and tasting. A busy weekend at the Sussex Gin & Fizz Festival! Bluebell Vineyard Estates took part in the very first Sussex Gin & Fizz festival in Lewes on Saturday. Held at Southover Gardens, it was a sell-out event that celebrated the very best of Sussex produce. We added some sparkle to the event by offering tastings of our Seyval Blanc, Rose, Classic Cuvee and Blanc de Blancs and chocolatier makers Noble and Stace offered truffles filled with our sparkling wines. 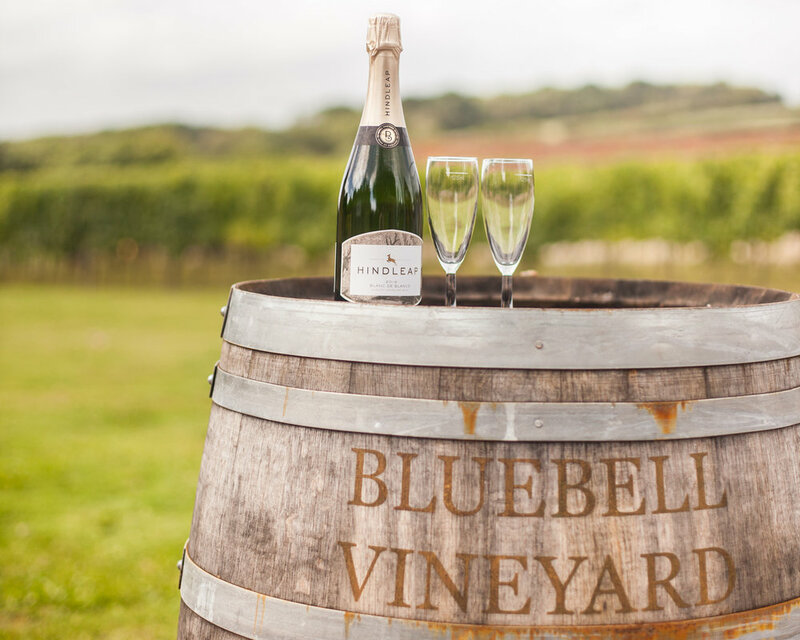 Bluebell vineyard Estates wine tasting at Chapel Barn food and Drink festival. Join us for an in-store tasting at Grape & Grain in Haywards Heath on Saturday 30th September 2pm - 4pm. Our winemaker, Kevin Sutherland, will be available to take you through the wines, including our limited release Barrel-Aged Blanc de Blancs 2013. We will be pouring free taster samples of the full range so pop in and join us! Sussex Gin & Fizz Festival 30th September! What is better than an afternoon of sparking wine? An afternoon of sparkling wine and gin of course! Join us on 30th September at the new one day Sussex Gin & Fizz festival in Lewes, part of Lewes OctoberFeast festival. Sample local fizz and gins and enjoy local artisan food stalls and see the best of what Sussex can offer in the glorious walled gardens at Southover Grange in Lewes.